Buy yourself and others who are close great gifts for the new year. The good thing? You don’t have to step out to shop. These online stores have a collection that works great for a gift. So, shop away to welcome the new year with new things! For anyone who’s a fan of superheroes, fictional characters and pop culture. This store is high on quirk and is super cute. They’ve recently delved into t-shirt dresses too (with pockets!). We usually shop from here for anything pop culture related. Because, whoa mama! Where else will you get a Johnny Bravo duffle bag these days? This website is home to the coolest and quirkiest things. And, has select items that can be delivered with 48 hours too! They have everything from stationery, desk accessories to cool stuff you could use in the kitchen (skull-shaped ice-cube trays!). Their designs are unique and you’ll often find us scrolling through this site as soon as the salary comes in. You don’t need an introduction to Chumbak. As this brand keeps getting bigger, so does its collection. Their whole dinnerware collection gives us so many decor goals. Those indigo flower plates and the stripe cat kettle will make eating and drinking tea out of in 2019 so much better. Love a bit of class and elegance? This brand is all that. Sleek leather accessories and cases, wooden staplers, old-school metal scissors, leather-bound organisers and...oh god! We could shop their whole store! If you’re looking to get organised in the new year, definitely stop by this site. The cute little easel calendars, the clip chalkboard and so many other home decor items. 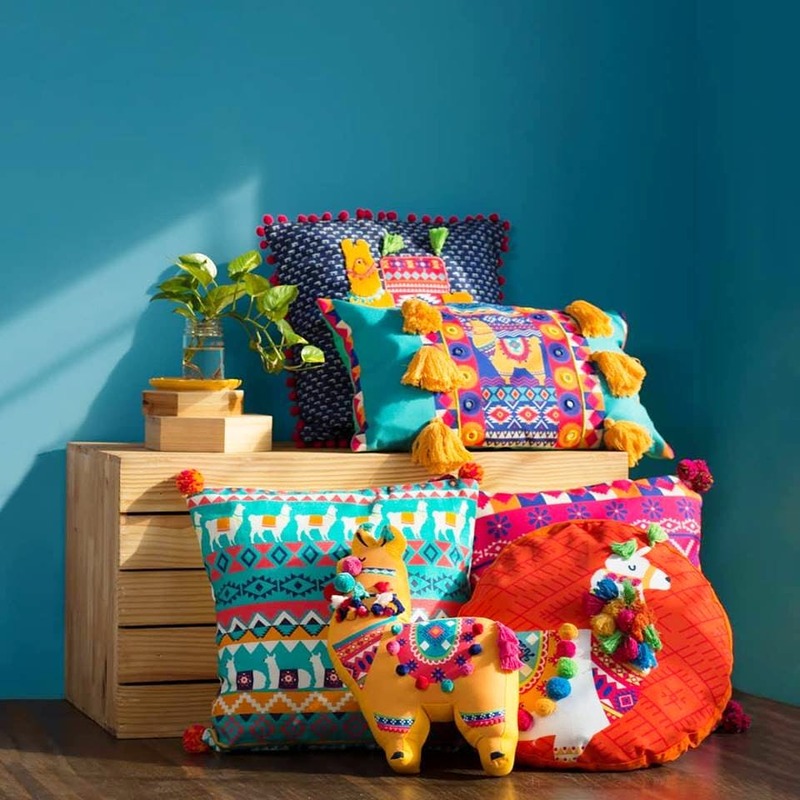 This online studio of the Pune brand, Carousel is where we’d love to shop for key holders, wall accents among other things. If you’re one to support local, stop right here. These Pune designers are doing a fabulous job!